One of my Summer Travel Essentials is bringing my own hairdryer. I know most hotels nowadays have their own but they're usually the ones on the wall and take forever to dry my hair. 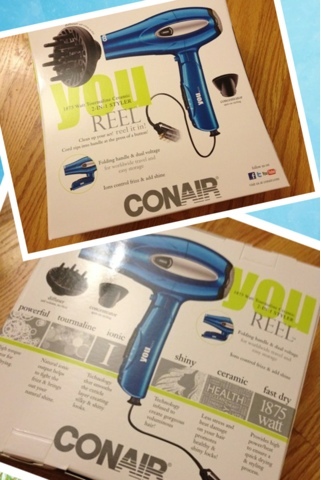 For my travels this summer, I'll be bringing the new Conair Infiniti You Reel Folding Handle Dryer. The handles folds neatly into the body of the dryer and the cord also reels into the handle which is perfect. It occupies less space in my suitcase and works like a charm. Performance-wise? It's fabulous! It's super powerful and leaves my hair shiny and dry in great time. It has 3 heat and 2 speed switch settings (high and low) similar to what I'm using now. I've been using Conair's hairdryers non-stop since I was introduced to their Infiniti Pro Salon Performance AC Motor Styling Tool in 2010 (which I nickname the orange hairdyer.) It's salon-powerful but can be quite bulky for travel, which is why I'm so glad I have the new You Reel dryer as part of my travel essentials.